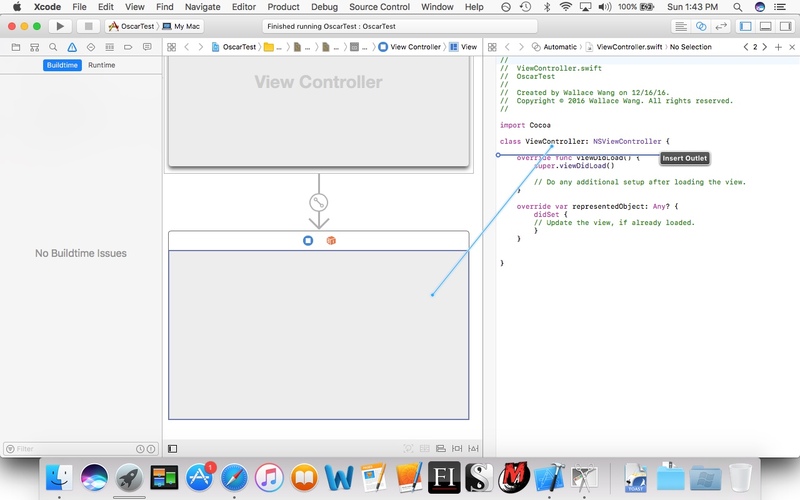 To create an IBOutlet for a window, just opens he Assistant Editor, move the mouse pointer over the window, and Control-drag to the Swift class file linked to your window such as ViewController.swift. Then release the Control key and the left mouse button to create an IBOutlet. If you put the following two lines of code in the viewDidLoad function that runs as soon as a window appears, you’ll see the defined width and height of the window. if you’ve ever used the appointment feature of the iOS calendar, you’ve seen a spinning dial that lets you choose among multiple options such as the names of different months and days. A PickerView simply displays options that the user can choose. To fill a PickerView with data, you can use an array and place that PickerView on the user interface. @IBOutlet weak var pickerViewUI: UIPickerView! 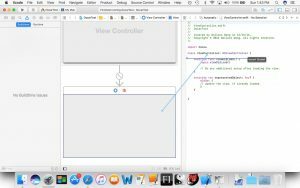 Your app can display a web page by using the Web View object on your user interface and then by writing three lines of code. So first, place a Web View on your user interface and give it a unique name such as webView, although the exact name isn’t important. The only restriction is that the web site address must use https:// and not just plain http:// or else it won’t work. Just paste a different string for the web site address and you’ll be able to display a different web site. Remember, make sure the web site address uses https:// and also make sure the web site is optimized for mobile devices so it adapts to the smaller screen of an iPhone or iPad.